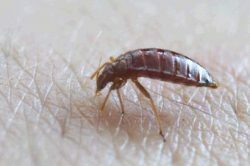 More of a problem in hotels and hostels, if you do find yourself the unwilling host to bed bugs, discard mattresses or vacuum, seal and leave them in the hot sun for a while, wash sheets and blankets thoroughly, vacuum or steam clean carpets and clean curtains and other surfaces. The bed bug treatment consists of an inspection of the entire room. Curtains and bedding must be bagged and sealed in the room before removal. These items must be put straight into a hot dryer for 20 minutes to kill any live bed bugs and eggs. The room, bed base and mattress are then vacuumed by us using a purpose built vacuum cleaner. A crack and crevices treatment is then done to all areas of the room, beds, bed side tables and built in wardrobes. A second visit is often recommended. To help prevent the occurrence of bed bugs in the home try and avoid introducing second hand furniture, especially beds and mattresses. Make an online enquiry for Bed Bugs service or call us now on 1800 284 442.